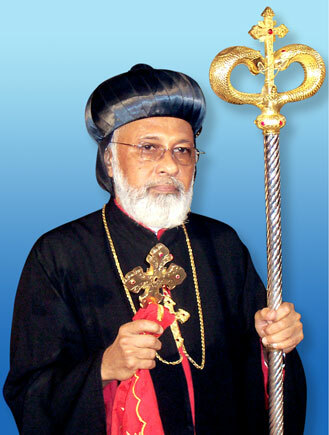 Mor Julius Kuriakose (Senior Metropolitan of the Simhasana (Patriarchal) churches/Institutions in India) and Former Secretary to His Holiness Patriarch Enters Eternal Rest at Manjinikkara at 4:15 PM today the 09th April 2011. His Eminence was 78. The mortal remains of the Late Metropolitan is presently kept in Mor Ignatius Dayaro, Manjanikkara. Funeral expected to be on at Manjanikkara Dayaro on April 11 Monday. Mor Julius was born on 06 July 1933 at Kuttanad. His Eminence was ordained as Kassesso on 21 September 1958 at Manjanikkara Dayaro by Mor Julius Elias, the Patriarchal Delegate and Metropolitan by His Holiness Patriarch Ignatius Zakka I Iwas on 27 September 1998 at Damascus. Mor Julius served as the First Secretary to His Holiness from 1984 till 2004. Mor Julius was awarded Honorary Doctorates, Doctor of Divinity & Sacred Philosophy by Indo American University of Humanistic Studies, USA and Doctor of Theology from Diondra University, Italy.